TweakBox app is one of the most popular external app installers in use today, offering a ton of modified and tweaked apps and games, as well as other content. Overall, it is one of the most reliable of all installers but, like most software, it does have its problems. Here we discuss the most common of those problems and their easy solutions but if you come up against an issue that we haven’t discussed, do drop us a line in the comments box below and we’ll do our best to solve it for you. Try the app installer again, and the white screen will be cleared. Now, when you try the app again, it will work without any trouble. If there are any updates, apply them and TweakBox will work properly. This is the most common of all TweakBox (errors) and is easily solved. If TweakBox app won’t download. The most likely cause is that the version you are attempting to download is clashing with what you already have on your device. 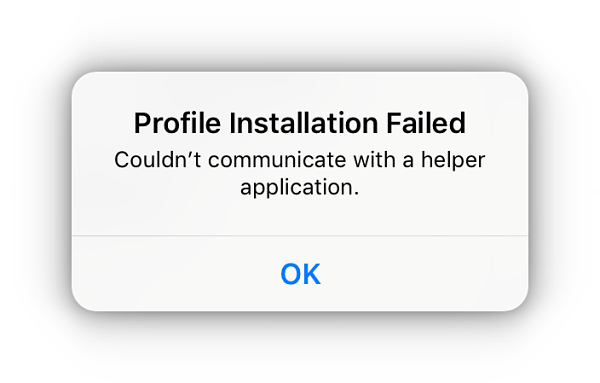 Try installing your app again and it should all go smoothly. Find the solution to this problem in this linked tutorial here. TweakBox is not an official app installer and Apple will revoke the certificate regular, making the installer crash. You can use an Anti-Revoke app or a paid VPN tool stops Apple from doing this so you can use TweakBox on your smartphone for as long as you want. To fix Go to Settings > Safari > Clear website data, and open Apps section again. These are the most common issues TweakBox users face and, as you can see, they are all easy to solve. Once again though, if you face an error not discussed above, Please let us know in the comments box below or contact us on Facebook. Previous Post:What is TweakBox App? use the cross “x” and close the ads . Hi so I’m having trouble loading a app. It’s installed but whenever I tap into it, it crashes and I just can’t open it. The app is Filza Escaped. I have tried everything to get it to work. I’ve followed instructions in the unable to download tweakbox app instructions and it just won’t load. It will load a sliver of it, but then I get that error. I tried reinstalling tweakbox but the profile doesn’t show up anymore I need help plz. remove the profile first before re-installing . I pay for one year for play PGO++ was 2 mounths. Last update my PGO++ no autentic my iPhone like a premium. Hi , TweakBox is a Free to Use app. Where did you make the payment for ? As of today , UFC wont work, the developers of it didnt release an update. We will release the update as soon as its available . Any news on when ufc++ will be updated? Hi , we are in the process of updating the apps. Thank you for your recommendation We will update in possibly 1-2 days. 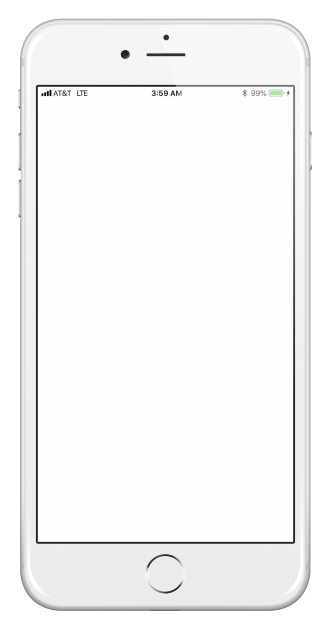 Hi, the app is just showing a white screen and won’t load. Is there a problem? I downloaded spotify, movie box, and bobby movie but i closed tweabox accidentally before they finihed downloading. Now there’s 3 gray apps with the loading circle almost done but it’s stuck. Also, there are icons for spotify and movie box and bobby movie but every time i tap on those it crashes. So basically I have 6 apps. I don’t think this issue has ever been reported before so it might take more time to solve it. Hey thanks for reporting this issue . Have you tried deleting those apps ? i am assuming you have to delete the app profiles from settings > general > profile if they dont go away the normal way. Please report back as what happened, this is truly unique. I just read that there are more people with Iphone that have the same white screen problem on TweakBox app. Also they say it’s a problem between TweakBox and Apple. Thats right , Apple revoked the certificate for our AppStore. Every-time they do it , we have to re-issue a new certificate for our installer , and every Tweakbox user has to re-download it for things to work again. In the past few days , they did it multiple times. I guess it because of the popularity of TweakBox app . I did try delete and reinstall again this morning and it’s working again. And really appreciate all the work you guys do. Tweakbox isn’t working for me. There are three apps that I downloaded from Tweakbox, that won’t open or delete. Now I can’t update any of my apps from the app store! I tried different ways to delete Tweakbox and re-installing but it still has the same problem. Now I have apps that are darkened and I can’t even open them. Please help! I followed the instructions and when I click on “Apps”, then “Tweakbox Apps”, Pokemon is not an option. alright , looks like you were able to download Spotify++ APK. Did you try out the solutions in the comments for the Spotify error . look for them in our spotify++ download page itself. re you getting white screen ? then follow above stpe.s or remove tweakbox and re-download it again . I think Spotify++ won’t install with iOS 12. It hasn’t on mine. The app just stays blank and says “waiting”. hi download phantom for snapchat , it may solve the issue. hi , the electra jailbreak has stopped functioning for a while . Please try Th0r by @pwned4ever Electra Modification. You can use this while Electra Multipath is down. Enjoy! pokego++ updated to R88, are you trying that ? Umm, all was going well until I opened spotify, whenever I try to log in, the app imediately logs me out, and I can’t get it to work. I tried delete and redoing but the samething happens please reach me soon. Hey, so I’ve tried some of the following solutions for my problem but it doesn’t seem to work. Every time I download an app it uses the data up for it, but then had a grey box which is unable to open. Attempted about 4 times with 3 different apps each time just to end up with the same results. Hey Hailee , than you for your comment. This is a broken download that you are having , which stopped mid-day. Did you download apps simultaneously ? you should download one app at a time. hi , did you try the solutions on this page. Dear tweakbox can you optimalise hungry shark evolution for Iphone XS Max? I can’t download any app from tweekbox. What can I do? Trying to download Darksky but it installs a small portion then stops. I’ve tried multiple times and have no other copies of it on the phone. Still having the same issue. Also unable to install Sky Guide. Pokemon Go works though. Is this problem going on everywhere? I cleared my history also. I’m connected, but it doesn’t load the app. I just get that screen. Hi! I installed the tweakbox for ios 12 and downloaded snappink, but now when i try to use the snappink, the page opens and closes for like 2-3 seconds. Every time I install snapchat++ it crashes immediately. What am I doing wrong? hey Devon, have you trusted the developer profile ? Hello the Tweakbox team ! When I download an app with tweakbox, it stuck in waiting. If I press on it, I can loading but the download never progress. I tried with two different apps separately, I tried two delete and redownload tweakbox, I have always the same problem. I downloaded Sims Mobile and while trying to complete the tutorial, it will not let me complete it because it is like the screen is not big enough. Dialog from the game prevents me from pressing a button needed in the game. Hi the Tweakbox team ! I am having a problem when I went I download an app with tweakbox, it would be stuck in waiting. If I press on it, it would be loading but the download never progress as it goes into a gray square saying the app couldnt download. I have ios 12.1. I tried with two different apps one at a time. I also tried deleting and redownloading tweakbox, It just started doing this tonight. TweakBox and all subsequent apps are now listed as unverified. Help! I’m having issues with activation key. Saying I’m not a donor as of last night. It worked for about 1 day after I updated to R99. My dues are paid for the month not sure what the issues are. Please help. 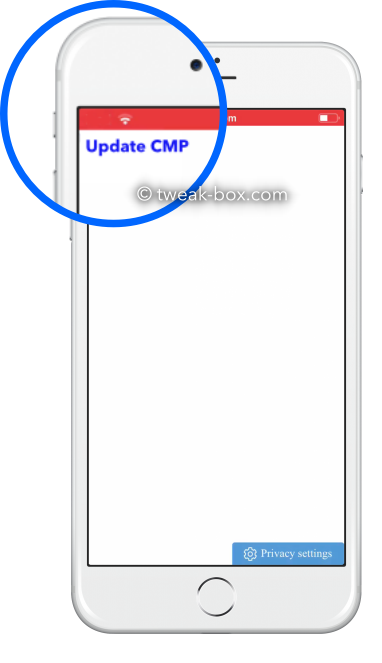 When I try to download the tweakbox applications this message appears to me “iphone distribution: compagnie marocaine” has not been trusted on this iphone. 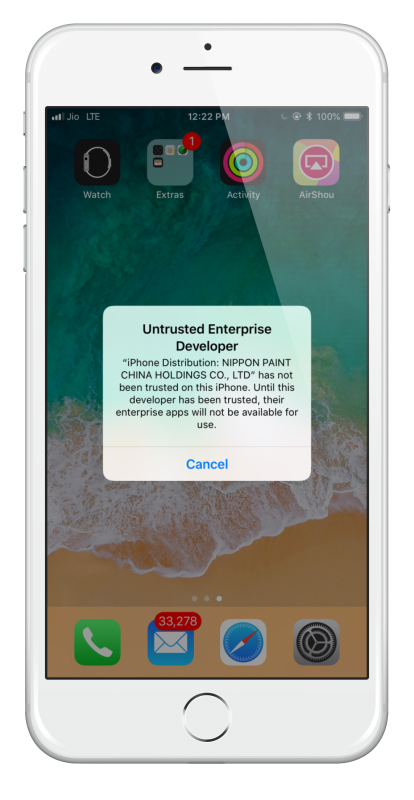 until this developer has been trusted, their enterprise apps will not be available for use. thats correct , trust that app profile. from where to trust? it does not show anywhere on the iPhone. You guys are all awesome! Thank you for what you do. I’m having issues with Pandora (Connection Unavailable) and Tinder (Asking for Update). Thanks in advance for the help. Keep up the good work!! 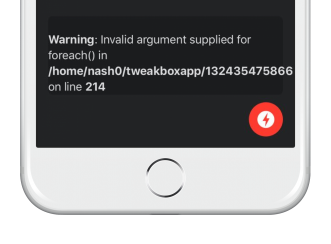 The tweatbox app certificate for ios 12 is stating the connection was not secure and it will not allow to open up. Certificate is not secure. let us check that, thank you for reporting. you can also submit your error images on our facebook page. its working now. the first links works , the second link is a backup links for if you cant get the first link working. Hey think the app is brill. I’ve installed iOS beta 12.2. It’s stopped Spotify working and all other gems from you guys. Is there a work around or should I go back to iOS 12.1 ? upto iOS 12.1.4 is supported now. do this . delete old app , now go to Safari > Clear Website Data, then re-download the app. that is a unique problem we have heard so far, can you share the screenshot on our facebook page. I have installed Tweakbox and the happy chick emulator successfully on my iPhone. It all works fine except there is no sound, which is a real bummer. Anyone else got that problem? Any ideas how to fix this? hi! every time i try to instal the app it doesn’t do nothing or it says that i cannot connect to the tweakbox app. I’ve downloaded Tweakbox on my iPad but when connected to my VPN through NORDVPN, the app spins and spins without showing a list of apps. But when I take the VPN off, I see the apps. Also, when attempting to download Kodi without the VPN, it hits my screen but disappears. Is something wrong with Tweakbox? Yes , the app certificates have been revoked at our end. Its a mass revoke by Apple, we are working to fix this issue. I have a problem with the downloads of any app. When I press install and the download starts, then it is impossibile to complete and it says “unable to install the app”. Why is this happening? hi Sara, thank you for commenting. The apps are revoked. This issue will be resolved in a few hours. However this seems to be happening whenever I try to download any of the apps from TweakBox! 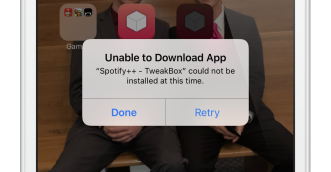 I have tried several times to go through all the usual methods in order to resolve the issue like deleting the TweakBox app and removing the profile, then restart my iPhone, then re-download and install the TweakBox profile and obviously then to install the TweakBox app via the profile, then restart my iPhone and then finally try to use the TweakBox app to download other apps like the Kodi 17.6 etc and it still doesn’t work and still comes up with the same message …. Yes it was revoked some time back. the developers are trying to fix it for days. If they come up with a solution, we will be the first to update you about the same. Please follow our website for the latest updates. Why does Tweet box not work on iOS 12.2? Tweakbox stopped working on my iPhone 6, software version 12.2. I have tried deleting the app and re-installing it but it fails. It downloads but when I go to settings and click install, I get the message The UUID for the profile “TweakBox” is not unique. I have tried resetting the phone and going to airplane mode and deleting history in Safari and re-downloading. I can’t seem to get it to work.